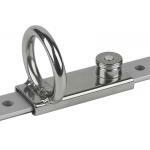 Schaefer's Spinnaker Pole Sliders feature large rings to accommodate most plunger and latch type pole ends. 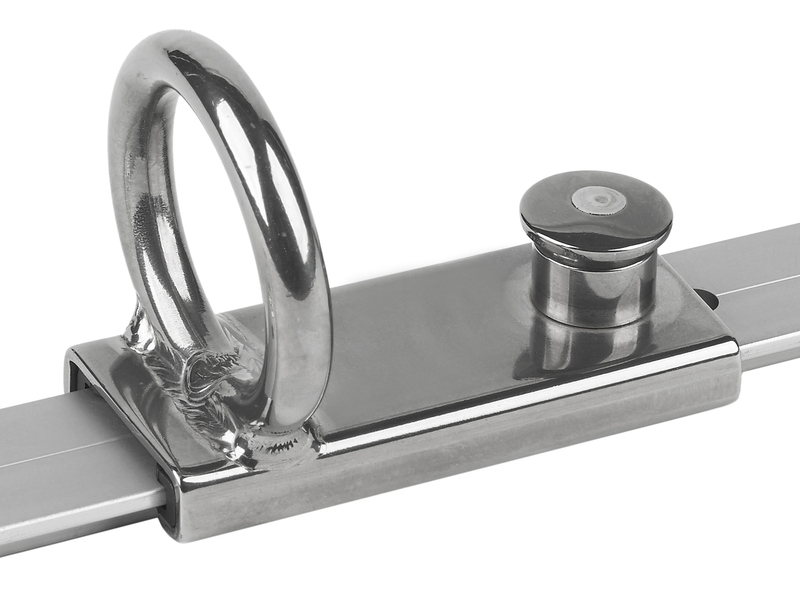 Welded slides are made from type 316 stainless steel with a welded ring. Investment cast slides feature heavier slide and ring construction. Track Size 1" x 1/8" (25 mm x 3 mm), Ring I.D. 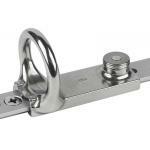 1-1/2" (39 mm), Ring Stock 7/16" (11 mm), L 5-5/16"..
Towable Spinnaker Slide for 1-1/4" T-Track. 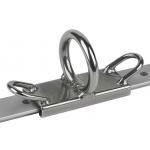 Polyethylene liners keep friction to a minimum allowing ..
Spinnaker Slide for 1-1/4" T-Track. 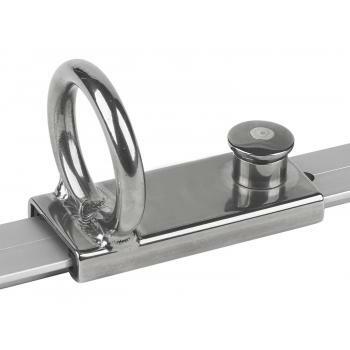 Polyethylene liners reduce friction between track and slider for..
Welded Spinnaker Slider for 1" T-Track. Polyethylene lined slide reduces friction for easy adjustmen..
Investment Cast Spinnaker Slide for 1" T-Track. Incredible strength of investment casting takes the ..
Investment Cast Spinnaker Slide for 1-1/4" T-Track. Polyethylene lined slide reduces friction for ea..